In this column I try to remain neutral on most political issues unless I feel too strongly about something to let it slid; such is the case today. Although I’m using statistics and factual information here, please bear in mind this reflects my opinion and not the official stance of any official department. On February 27, HB (House Bill) 2167 narrowly passed in the Kansas House. Quoting the official Kansas Dept of Wildlife, Parks and Tourism press release, “This bill would require the Kansas Dept of Wildlife, Parks and Tourism to establish a system to approve and administer the transfer of regular landowner or tenant hunt-on-your-own-land big game permits to a nonresident of the state of Kansas solely for the purpose of hunting white-tailed deer.” To paraphrase, passage of this bill will allow landowners to sell, at any price, their landowner deer permits to nonresident hunters to hunt on their land. 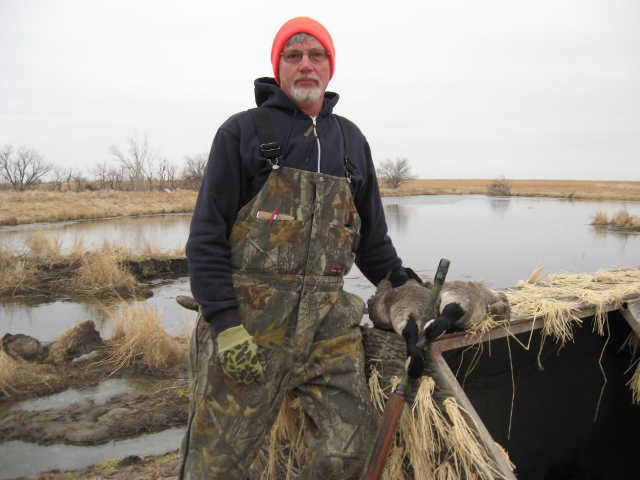 It’s no surprise that this bill is being pushed hard by a representative from the Topeka area who also owns Ravenwood Hunting Lodge, a hunting guide service near Topeka. As a Kansas deer hunter who does not own land, I’m VERY fortunate to have a family member and friends who allow us to hunt deer on their land. You won’t have to look very far to find Kansas deer hunters who have nowhere to hunt but public land because the private land they once hunted has been leased to hunters and groups of hunters, many from out-of-state who are wealthy enough to pay huge sums annually to lease this ground. Mike Miller, chief of information production for KDWPT told me a similar bill passed and was tried back in the early 2000’s and was a failure as it was nearly impossible to administer and police. The KDWPT opposes this bill and Miller told me he sees it as unnecessary as 97% of nonresident hunters who apply already get permits. A recent newspaper article says 24% of permitted deer hunters in Kansas are nonresidents. As a Kansas deer hunter who has experienced trouble finding private land to hunt, I have a real problem with this bill. I don’t begrudge struggling Kansas farmers and ranchers for seeing this as a way to make some extra bucks; I only wish they’d sell them to Kansas hunters. The trouble with that goes right back to the almighty dollar, as the majority of nonresident hunters who come here to hunt deer are able to pay thousands of dollars to do so. I’m also afraid this would do nothing to help reduce overpopulations of female deer, as hunters paying large sums to hunt Kansas deer are going to be after trophy bucks only. As far as I’m concerned, the statement that this bill is unnecessary sums it all up. HB 2167 still has to pass the senate and get the governor’s signature, so there is still time to stop it. All you Kansas deer hunters who feel about this as I do, please go online to www.kslegislature.org and let your senators know how you feel. Let’s tell the legislature we want to keep more of Kansas deer hunting for us Kansans! …Continue to Explore Kansas Outdoors.